A new program concentrating on basics, practical and strengthening issues for all women who desire to grow and change and overcome troublesome relationship issues and abuse, past or present. This program is open to all women and it will be helpful for your own issues and to help those God brings across your path. This is and Interfaith program. It is called "Moving Up-Moving On." See current programs tab for more info. A program for any woman who desires a deeper understanding and a lasting solution to the powerful emotions and circumstances that causes inner distress. Starts January 22, Tuesday, 7-9 P.M.
Fountain Hills, AZ 85268 Basement level. No cost. Registration is not required. 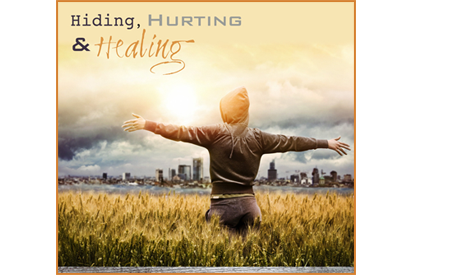 A Biblically-based program for women who have experienced adult or childhood emotional, physical or verbal abuse and are seeking healing from the shame and hurt that remains. Hiding, Hurting & Healing is for any woman who desires to move beyond hiding and hurting, to find healing through a new life in Jesus Christ. Out of the Shadows is an additional Biblically-based program designed to follow Hiding, Hurting & Healing. This is program for women who have experienced abuse, betrayal, traumatic experiences or painful relationships. Join our program and begin the healing process.